Any man can have a beard but not all beards can match any man. 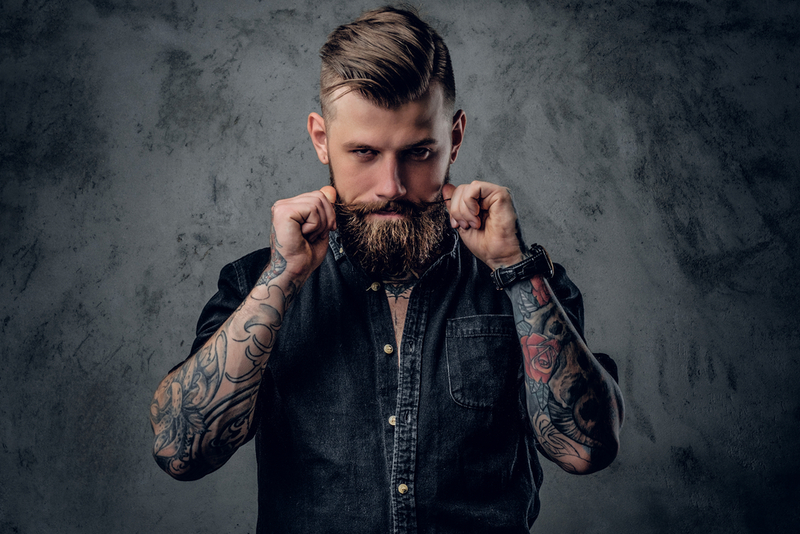 Each face shape of any men can be matched with a corresponding beard style that will complement the face shape and not just for the sake of having a beard. Beards are just like eyeglasses. You cannot just wear any eyeglass that you want. Of course, you have to match it with the shape of your face or else you will look funny or uncool. You must also show some fashion sense because it will enhance your image and also boost your confidence. You will even look tasty for some women. This goes with the beard styles that you are going to experiment with. For some women, beards aside from making a woman ticklish below, will also add a little bit of animalistic and fashion trendiness that makes you also look ready to devour anyone on a sexual context. Before deciding what beard style will look good on you, you must know your face shape first by looking in front of the mirror. Check the width of your forehead, jaw, and cheekbones. Check the shape of your jaw if it is round, square or pointy. Determine the length of face if it is long or short. 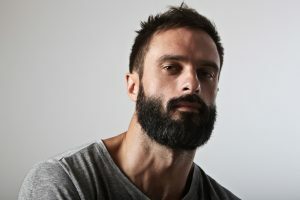 After finally knowing what your face shape is, you can then decide what beard style will look great on your face shape. There are many beard styles to choose from but basically, we will only mention the best beard styles that you can adapt on your face shape. Those with square face shape can try a Balbo, Goatee & Mustache, and Chin Strap beard styles. Try not to grow a full beard. Everybody knows Brad Pitt and if you look at him, you will notice how well he does his experiment with his hairstyles and also his beard styles for his square face shape. A square face shape has prominent angular and masculine features which just makes it easy for you to enhance your strong features. You can either soften your severe jawline features by adding volume over the chin or on the upper lip area while sporting a trimmed side area. Beard styles with hard lines can emphasize your prominent angular features and vice versa, that is, softer lines of beard style will soften your angular features. Oblong face shapes will look great with a Mutton Chops beard style. This long face shape has a broad forehead and wide jawbones that are noticeable above your mouth area plus a chin that is squared deeply. Just look at the actor Idris Elba and you will have an idea. The main difference between an oval face shape and an oblong face shape is that the latter is taller than the former. It is a face shape that is in the middle of an oval and square face shapes. Men with round face shapes just like Jeremy Renner can sport a Van Dyke, Goatee, Soul Patch, or a Chin Strap beard styles. Men with this face shape have wide cheekbones and jawline with a noticeable short chin. You want to have an angular style especially to your chin area so try to avoid long beards that are also thick since they will just make you look rounder. You need a beard style that will provide a hard element for your jawline and also adds and increase of height for your face. You want to have more oval or square face shape style that will make you appear to have a chiselled jaw. One of the rarest face shape is that of a diamond face-shape man. Johnny Depp of the “Pirates of the Caribbean” movie franchise is one of the best example of a man with a diamond face. Aside from portraying rare roles, he also can portray examples of good beard styles that will match his diamond face shape. If you also have this rare face shape, try to have a neutral approach for your angular features. You can aim for a Full Beard, Balgo, Goatee, or Chin Strap & Moustache beard styles that provides softer contours which also avoid hard edges on your face shape. For those with an inverted triangle face shape just like Kiefer Sutherland, you can sport any beard style that adds symmetrical points such as Mutton Chops, Chin Curtain, and Extended Goatee. Since you have a large jawline feature which creates an illusion of a short forehead and high eye line, try to avoid short beards that will make your face look like a pear. You can make your beards larger and bulkier so that it can conceal your jawline and at the same time offset the width of your short forehead. The heart face shape is the opposite of the triangle face shape. You can see Leonardo DiCaprio who also has a heart face shape portraying roles with different beard styles that match his face shape. The heart face shape has a prominent large forehead and narrower cheekbones and jawline usually coupled with a pointed chin. 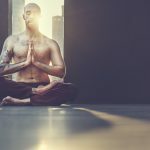 You may be able to balance the features of your face shape by adding voluminous beards such as Mutton Chops, Chin Curtain or adding a hard beard such as Extended Goatee on your cheek lines which will provide angular and texturized features over the jawline. For a simple and trendy style, you can just have a Stubble beard style for additional texture on your jawline. The so-called ideal face shape is an oval face shape with even proportions such as reduced face width from the forehead and a sloping jawline. It has visible balance features that makes it ideal for a more versatile approach not only with beard styles but also with hairstyles as well as eyewear elements. 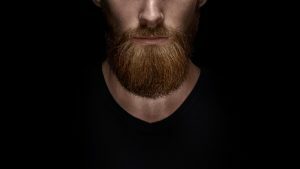 You can experiment with any beard styles such as those belonging to Boxed Beard, Chin Beard, Circle Beard, Sideburns, Stubble, Inverted T Beard, and Full Beard beard style trends. Movie and music personalities such as Will Smith and Justin Timberlake can be an ideal image for men with oval face shape that also sports a beard style.